Bloody-Disgusting posted a couple small updates earlier on the A Nightmare On Elm Street remake, and Friday the 13th Part 2 3D that were made available via Brad Fuller's Twitter page.While New Line Cinema has already announced an August 13, 2010 release for Friday the 13th: Part 2 3D, it appears the film has yet to get the go-ahead. "Still hoping for some good news that will take us back to Crystal Lake," Platinum Dunes producer writes on his Twitter page. Damian Shannon and Mark Swift - who penned the remake - are currently penning the sequel. In addition, he also updated the status of A Nightmare on Elm Street exclaiming, "on the mixing stage working on NOES." Freddy Krueger returns on April 30, 2010. 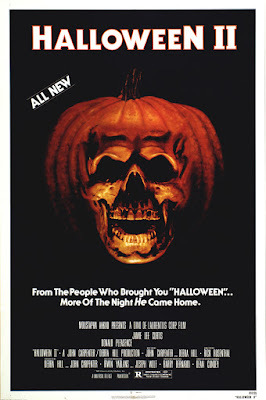 Quick Update: Halloween II Director's Cut = Finished. "Halloween 2 director's cut is finally done"
There's been a lot of talk lately about X-Files 3, the next possible sequel to the best "what if" TV series-turned-movie franchise. Moviehole has the dirt, and like Clint points out, this isn't a definitive yes, but it's not a no either...Now let’s preface this news item with a bit of an avowal: David Duchovny isn’t saying there’ll be a third “X-Files” movie just that he’d like there to be one. So, even at the risk of cutting off your blood supply, keep ‘em crossed for a little while longer. We will let you know when it’s safe to unstitch your storks. The “Californication” star tells The Daily Beast he’d be happy to hang the ‘I Want to Believe’ poster back up in his office. And he, like the fan community, believes the next film should be set in 2012 – since that date played a big part in the show’s folklore. Here's a small Scream 4 update courtesy of Bloody-Disgusting...Some brief news comes in this evening as we've been tipped off that the Weinstein Company plans to shoot and release Scream IV in 3D. In addition, word on the street is that Wes Craven is closer than ever to returning to the director's chair. We'll keep you posted. The screenplay is being penned by Kevin Williamson and Neve Campbell, David Arquette and Courteney Cox are all said to be returning. The new trilogy will take on a younger version of the Scream films. Is Brian Singer considering returning to the X-Men franchise? Read on for the buzz...With his once promising ‘'Superman'' series (I think it's safe to say we'll never see a sequel to "Superman Returns". A new "Superman" movie, sure, just not one that has ties to the under performing - Warner's words, not mine; I think it did quite well considering, and for the most part, I enjoyed the heck out of the flick - 2006 flick) now as motionless as a highway-traveling meerkat, it's no surprise to hear all-round comic-nut Bryan Singer is back in talks with Fox about returning to the "X-Men" series. Read the block quote below from Moviehole to check out the skinny ID4 2...For years there’s been rumours of an “Independence Day 2” – in fact, I believe the project even got beyond the rumour stage a few years back with preliminary talks talking place between creators Roland Emmerich and Dean Devlin and Twentieth Century Fox. But of course those talks likely never included Will Smith’s accountant – which, it’d now seem, is the reason we’ve yet to see the film. Talking to Latino Review, Emmerich said he’s got a great storyline ready to go for “Independence Day 2” – but it involves Will Smith’s character, and at this stage Fox don’t know if they’d be willing to cough up the cabbage to bring the Fresh Prince back. Understandable I suppose, Smith comes with a hefty price tag, but on the other hand, how much money is “ID4 2” bound to make!? Shitloads! Smith’s fee would be a drop in the pond at the end of the day! American Pie BOL screeningI guess it's called "presents" after all. And now it's "The" book of love. Told you the marketing department would change the title.P.S. The moose makes sense if you've seen the movie. Bloody-Disgusting has the latest on the Texas Chainsaw Massacre series, which has been dead-in-the-water since 2006. Well, other than the proposed reboot that Kim Henkel had a year or so ago. Anyway, here's the skinny on the latest Massacre...Twisted Pictures is becoming the house of multiple sharp objects as the makers of the Saw series are closing a deal to take over the Texas Chainsaw Massacre franchise, putting the villains Leatherface and Jigsaw under one roof. The details are slim, but Leatherface could be returning in 3D. More soon. Read on for the rest of the story and tell us what you think below. Sources said the producer/financier is in talks to partner in the films with Lionsgate, which has distributed all the pics in the highly profitable "Saw" series, including the Oct. 23 release of "Saw VI." MTV ran an interesting story. It appears that Michael Dougherty has some Trick 'r Treat sequel plans up his sleeve -- or should I say sequels? Have a read for yourself...Now that it’s October, we’re all in the mood to get the bejeezus scared out of us. And this year we’re in luck, because the instant cult classic “Trick ‘r Treat” debuted on DVD Tuesday, and its Halloween-themed tales of terror are scaring up some huge business. Naturally, if writer/director Michael Dougherty has his way, he’ll be haunting our All Hallows’ Eve with sequels for years to come. It seems that Newline is moving forth with a new Vacation film...perhaps a little along the lines of Christmas Vacation 2. This also comes from THR.New Line is going on a "Vacation." This bit of news comes from THR...Gary Ross is writing “Venom,” Columbia’s “Spider-Man” spinoff based on one of the villains from “Spider-Man 3,” as a potential directing vehicle. Ross is already writing “Spider-Man 4” for the studio. This comes from Collider...Earlier today I sat down with David Goyer and Brannon Braga and conducted an extensive interview about their fantastic new show “FlashForward”. If you’ve been watching the show on ABC Thursday nights, I promise you’ll love this interview as they explain how the idea came together, what’s coming up, David explains where the Oceanic Airlines billboard came from and is the show related to “Lost”, and so much more. Also, while my interviews are usually around ten to fifteen minutes, this one went for almost thirty, so we were able to really talk and not just scratch the surface. Look for the entire conversation Sunday night. This comes from Moviehole...Michael Bay will direct "Transformers 3".